So it’s time to head to La Spezia to wander the five towns of Cinque Terra. I’m currently speeding along the Tuscan country side on Italy’s fast train, reflecting on the last few days. 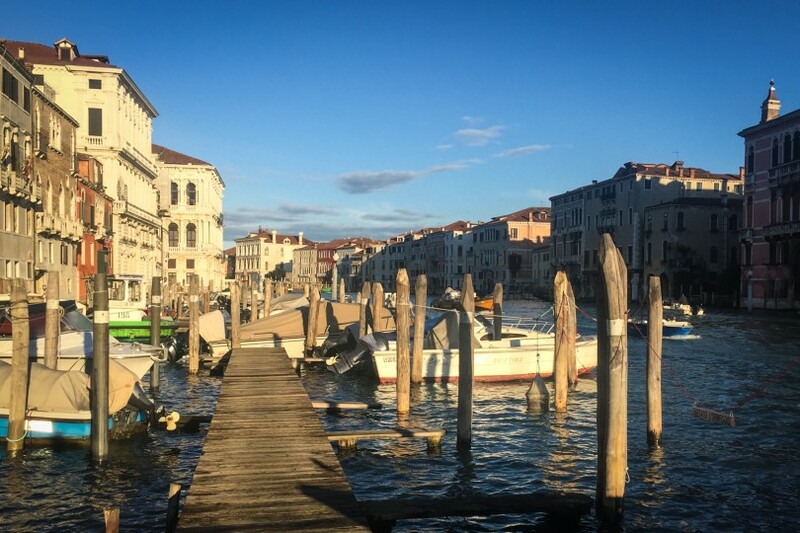 Venice was an incredible whirlwind that imbued my senses with the curiosity and awe often found with traveling to new destinations. 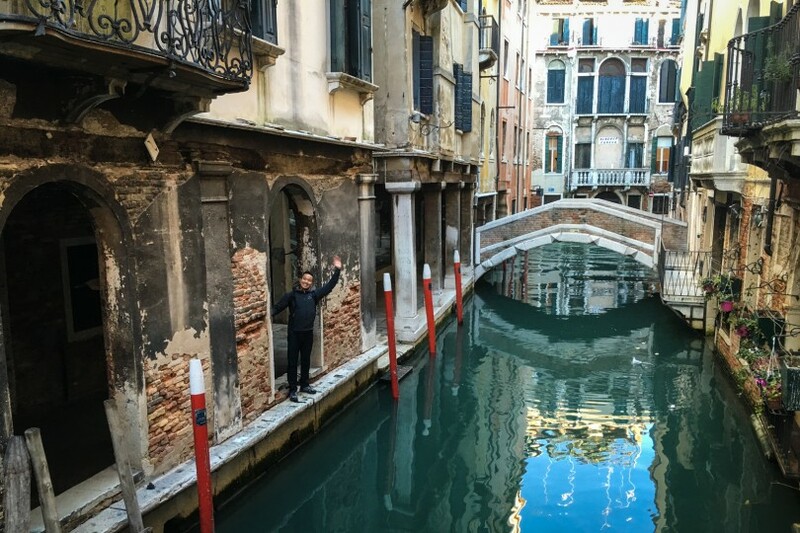 Although I have felt jet lagged the entire time, adrenaline has kept me going to see and experience some of the amazing things Venice has to offer. Only have 2 days? Here are 12 things to do. The city is built on a lagoon. It’s a city of charming historic buildings, endless canals and gondolas, and a maze of stone streets. With every turn comes the chance to get lost in its labyrinth while discovering a new bakery, square, plaza or nook. Every doorway is different. Some entry-ways look inviting, while other alleys look sketchy. Laundry hangs from lines originating from the many windows. At night, the streets are dimly lit but oddly welcoming for exploration. 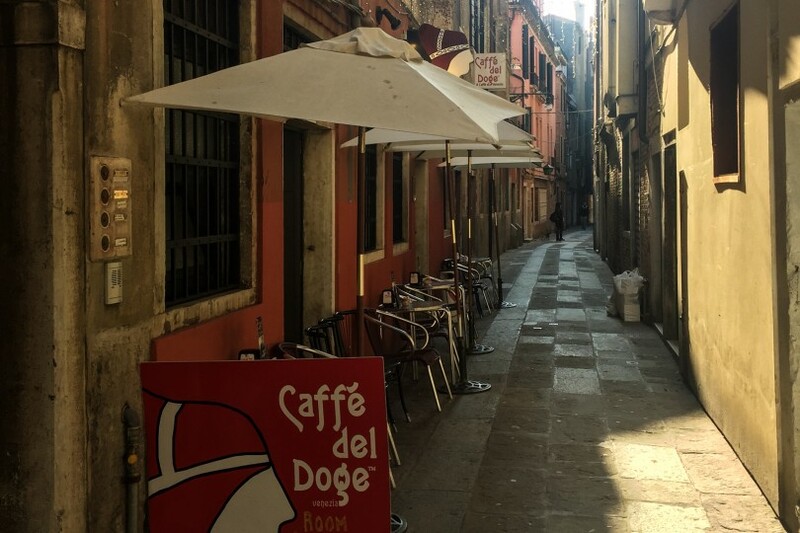 I came across a blog that wrote: if you only have a few hours in Venice, the ONLY thing to do is to wander the streets and get lost. 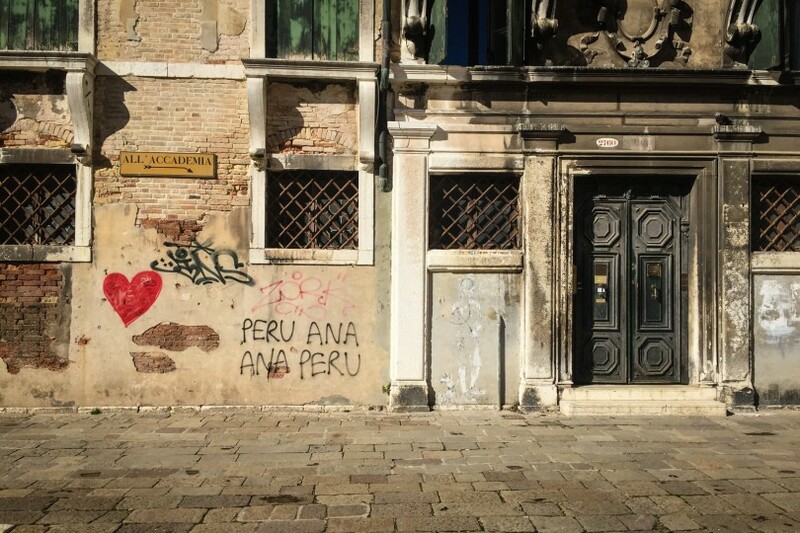 I definitely agree, and I felt that the majority of our time was spent navigating and trying to get a sense of our bearings in the San Polo and San Marco areas. Indeed, this was the best part our visit to Venice. Oftentimes I didn’t really care where we were or where we were headed. It’s all part of the adventure and fun, right? 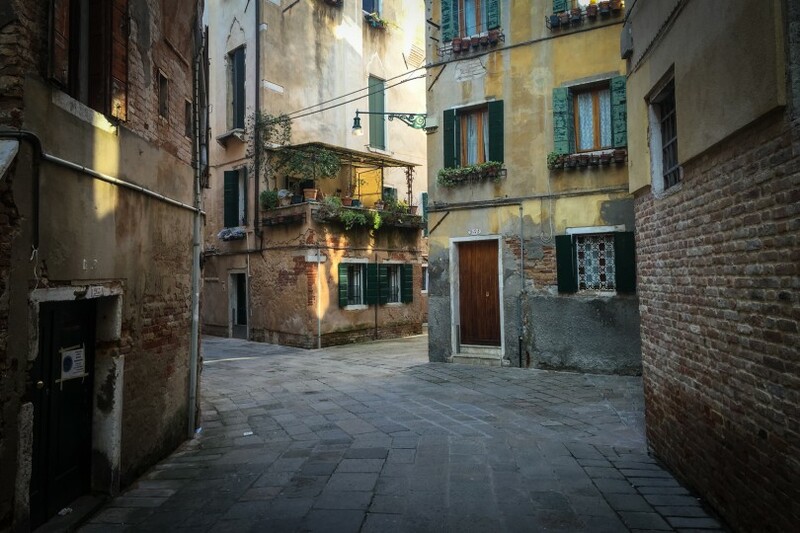 Getting lost in Venice. This is a must. 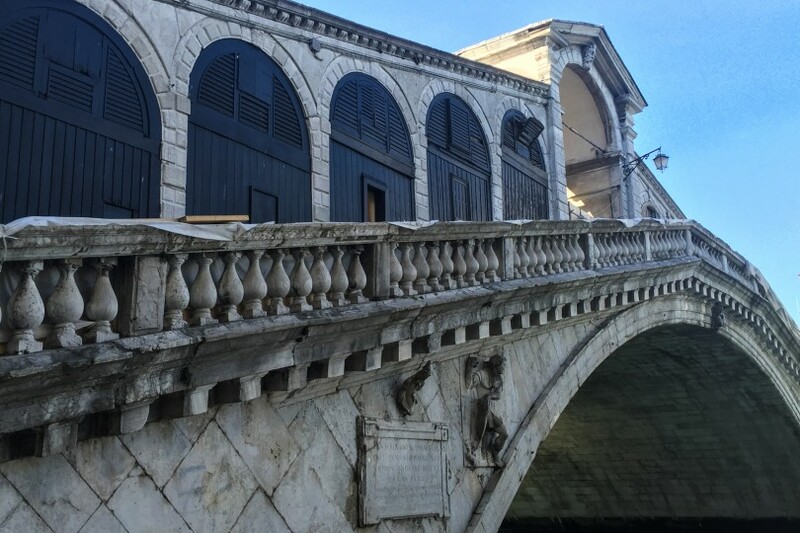 Chances are that you’ll end up crossing the Rialto bridge at some point during a trip to Venice. Apparently the construction costs were the equivalent of 19 million euros today, but the cost is obviously more. The whole bridge was under construction, and a gigantic Diesel advertisement was on display over the Grand Canal. 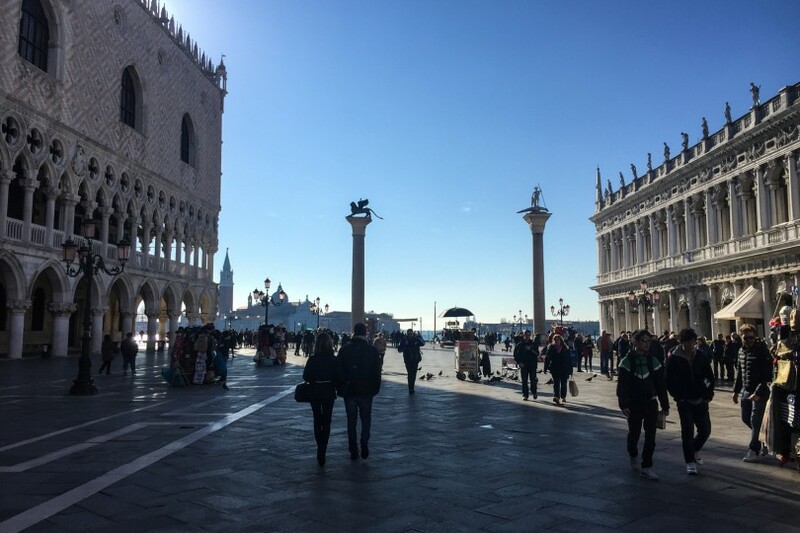 The bridge is dense with tourists and lined with vendors selling knick-knacks, “I love Venice” paraphernalia, selfie sticks, and Venetian masks. 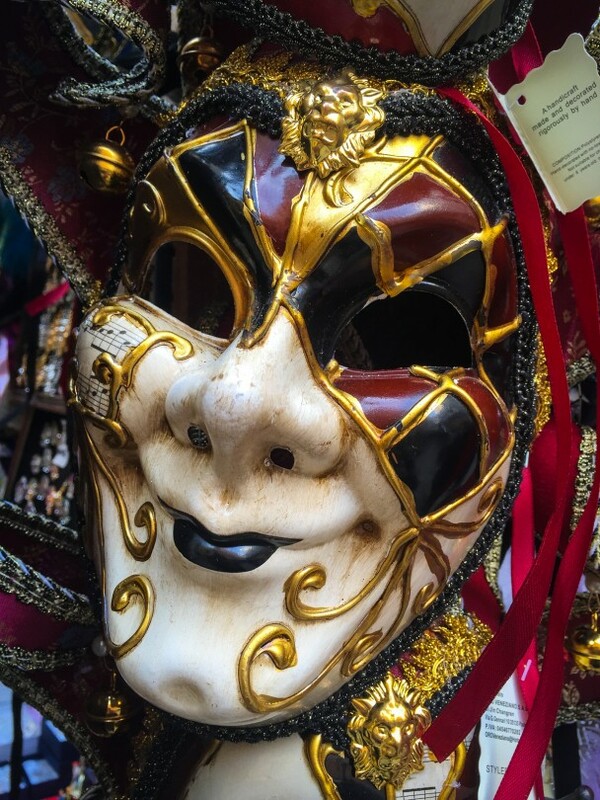 I did think the Venice Carnival masks were quite cool and they’re sold everywhere! Too bad we missed the February Carnival by a couple of weeks. 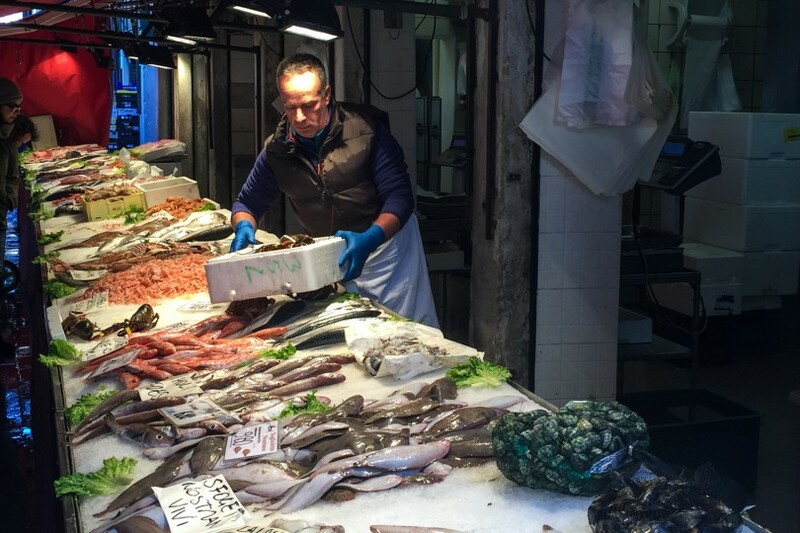 Located at the Rialto Mercato vaporetto stop is the large outdoor fish and food market. 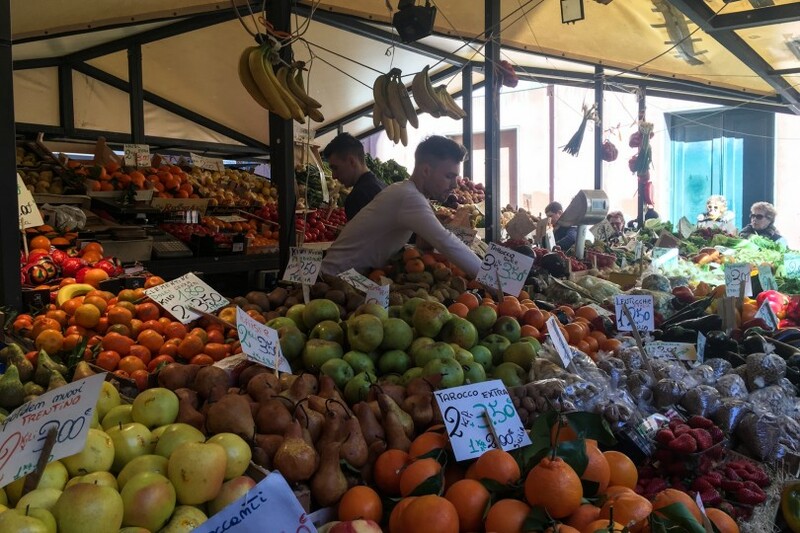 We visited the market a couple of times during our stay in Venice. Vendors begin setting up in the wee early morning hours, and by midday, the market is bustling. The smells of fruit and seafood can overwhelm the senses! 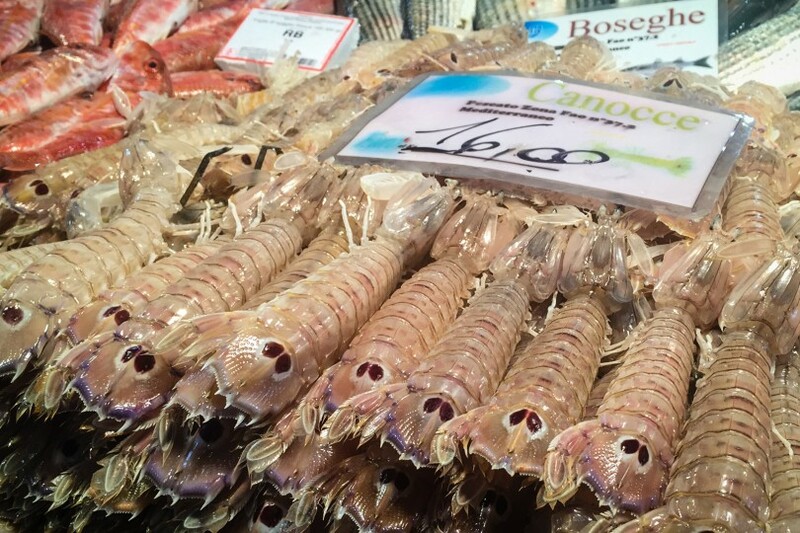 Despite growing up in the Caribbean, I’m not a huge fan of seafood myself, but the selection of fish, eel, octopus, shrimp, squid and many other sea creatures is vast. We opted to buy some strawberries and bananas. 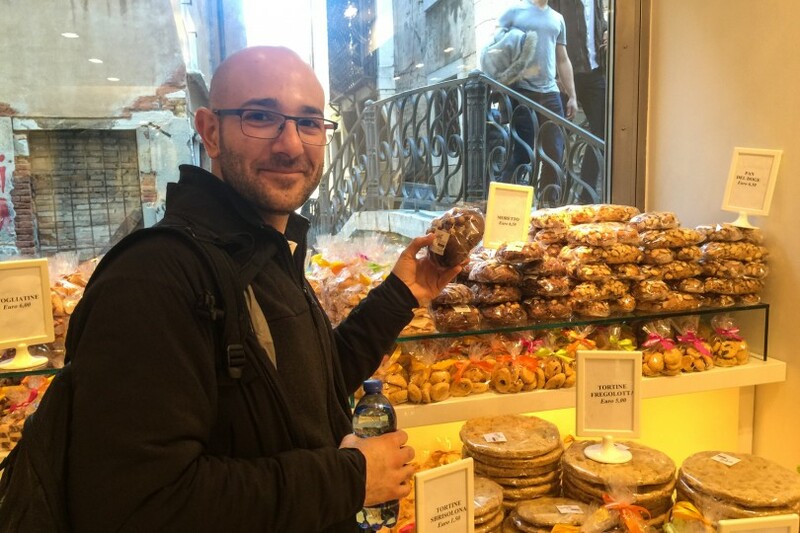 It’s important to offset the pastry intake with natural sugar, fibre, and important nutrients… even on vacation. 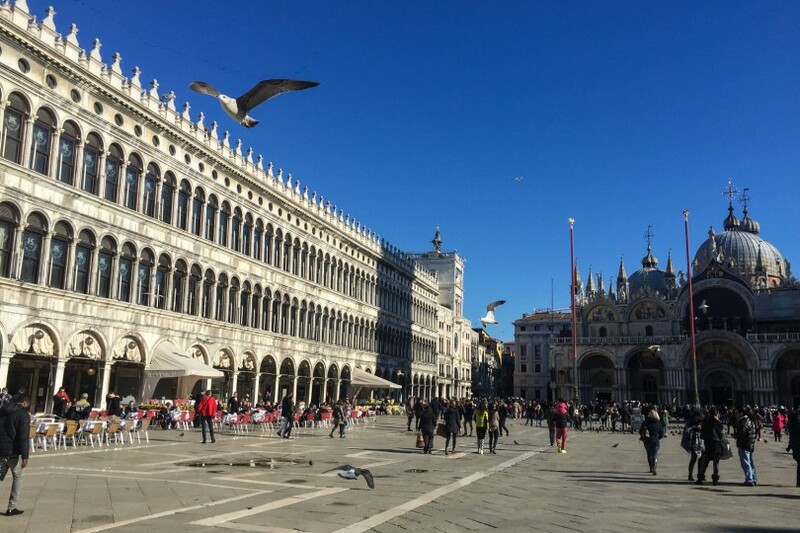 The Piazza San Marco is the square to see, and all the tourists know it. This place was busy! But for good reason. 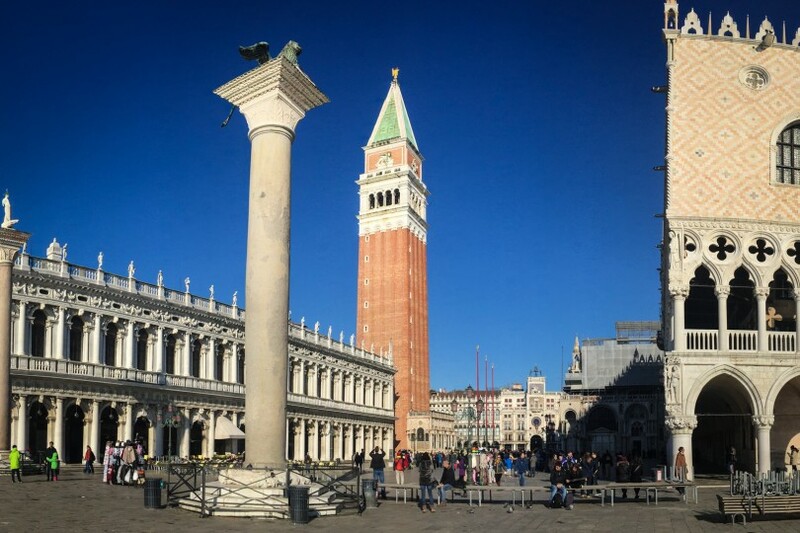 Surrounded by St. Mark’s Basilica, Palazzo Ducale, and the iconic St. Mark’s Bell Tower, it’s an ideal place for all those “I was here” photos. 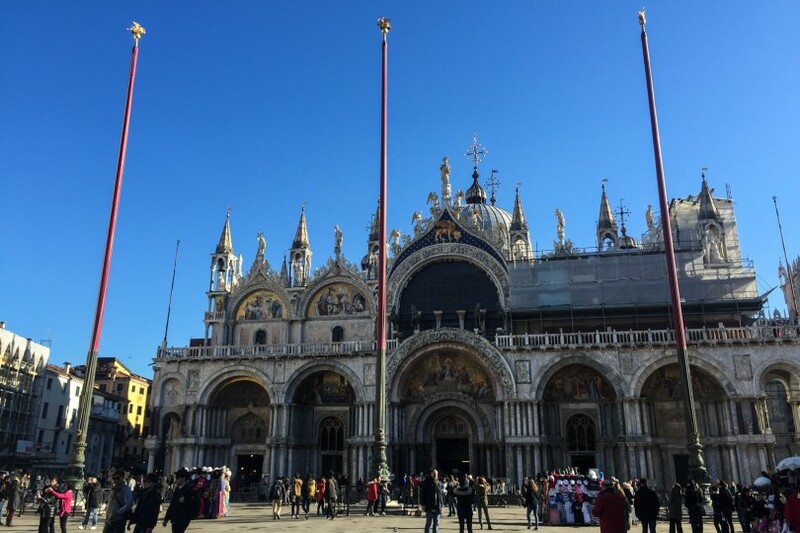 We didn’t end up touring Palazzo Ducale (Doge’s Palace) or ascending the steps of the Campanile di San Marco (St. Mark’s bell tower), but I’ve read they’re both highly recommended. 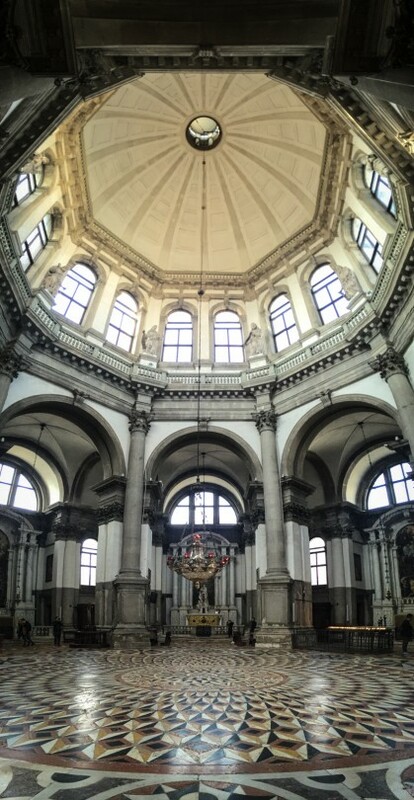 A must-see, this basilica is architecturally impressive. Store your bags, get in line, and take a walk around the basilica. The main altar contains St. Mark’s sarcophagus. There are a few areas that require an entrance fee, such as the treasury and the Pala d’Oro, which contains 2000 gemstones. I loved the no selfie stick sign, which is becoming quite a common thing to see at many tourist attractions. 6. Eat until your belly is full. Then eat some more. 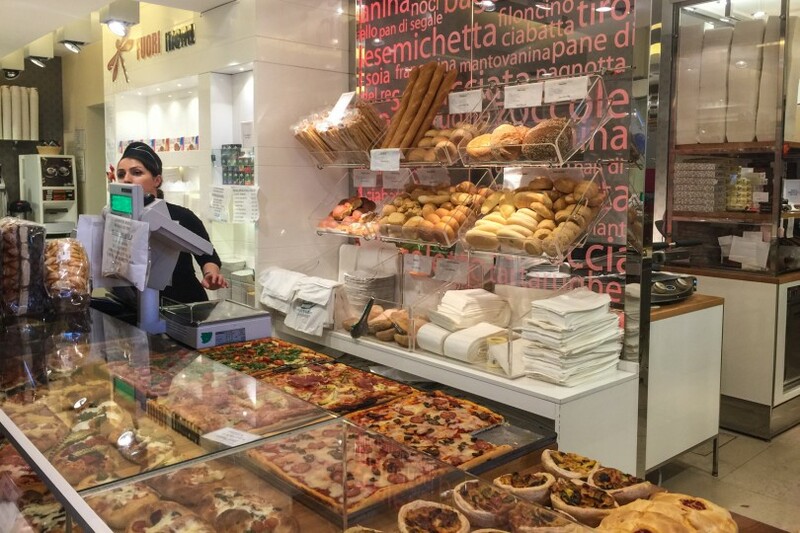 We knew that a trip to Italy would be a gastronomic attack on our generally healthy systems. 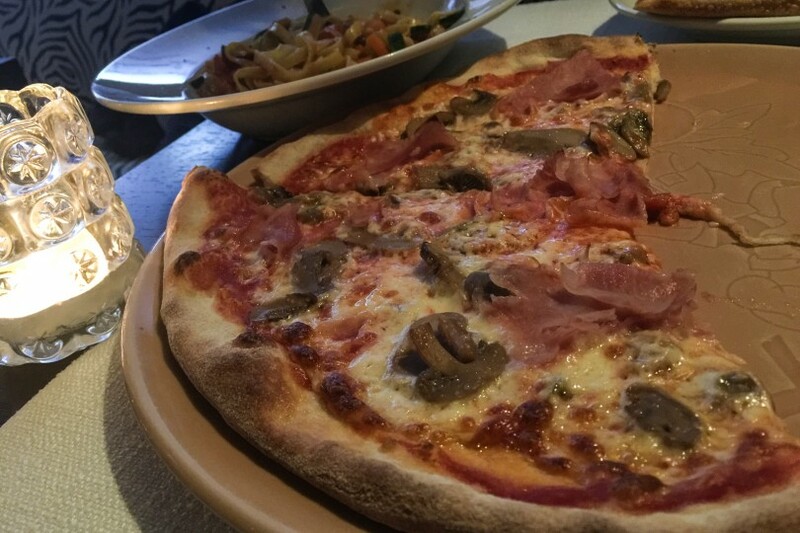 But we surprised ourselves with how quickly we began consuming pizza, pastries and pasta. Pizza drizzled with oil and rockets. Chocolate croissants and cream-filled donuts. Biscotti, macaroons, and anything including bread. I think on day 1, there were several times that we ate until we were full, and then, just for the helluvit, we bought a pastry to “top it off”. And then we would think, Geezus, why do we do this to ourselves? At which point, we’d say “screw it, we’re on vacation”, and repeat the cycle all over again. In our defense, it’s quite difficult to resist and have self control when there are so many great restaurants and bakeries around. Eat. Then eat some more. I don’t think we bought these. It was a rare moment of will power. We have been eating pizza. Lots of pizza. 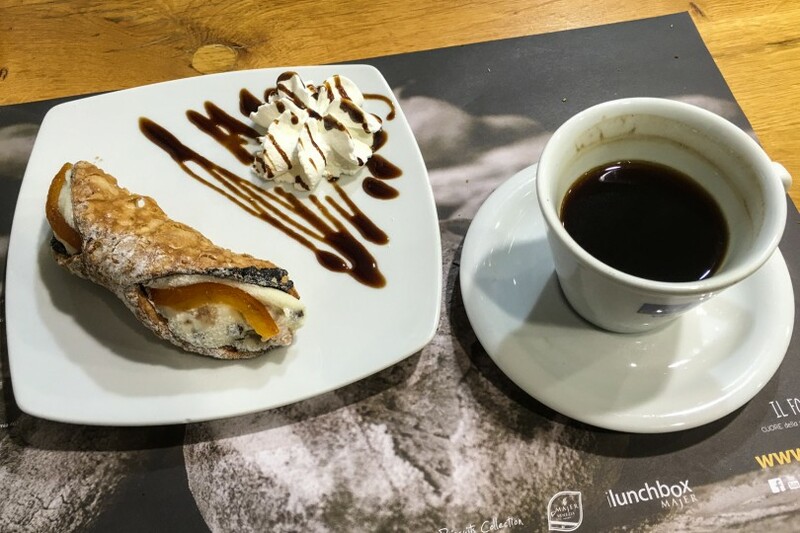 As it follows from stuffing your face with food, having coffee with a pastry for breakfast is a very Italian thing to do. 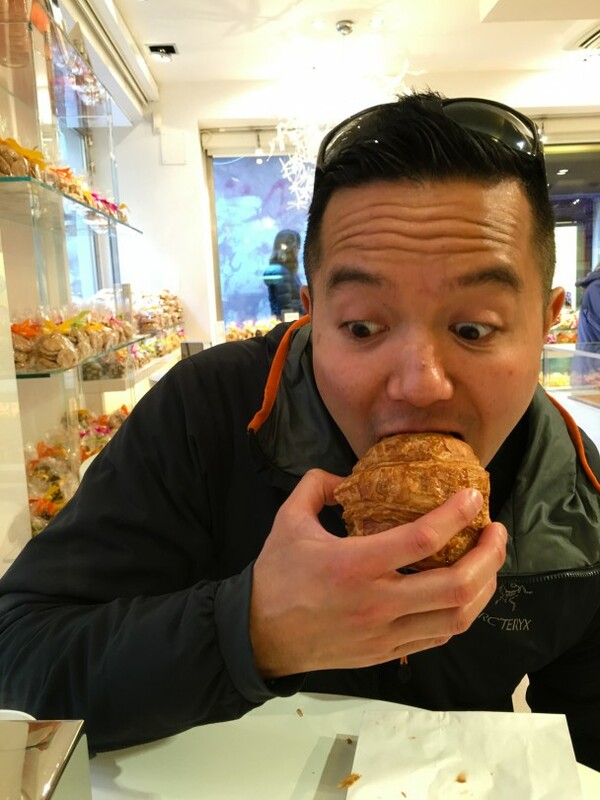 There are many places to find a good cup of a coffee, and seemingly equally as many places to pick up a pastry. 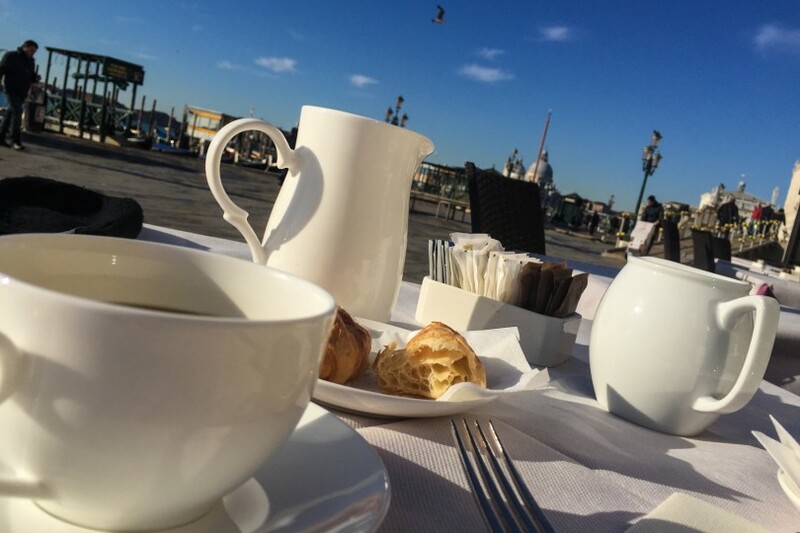 Thanks to Tripadvisor, we started our second morning in Venice with a trip to Caffé del Doge in Rialto. Robbie had an espresso with a croissant while I had filtered black coffee with an apple pie. They were all delicious. It’s a cool café with areas to sit and relax. So we didn’t end up taking a gondola ride. I know I know, “You went to Venice and didn’t take the romantic gondola ride through the canals of Venice??”. No. No we did not. I’ve read it’s expensive. Like, 80 euros per 40 minutes kind of expensive. Plus, the watchful eyes and photos from tourists as you sail on by wasn’t really our thing. But we did take the No. 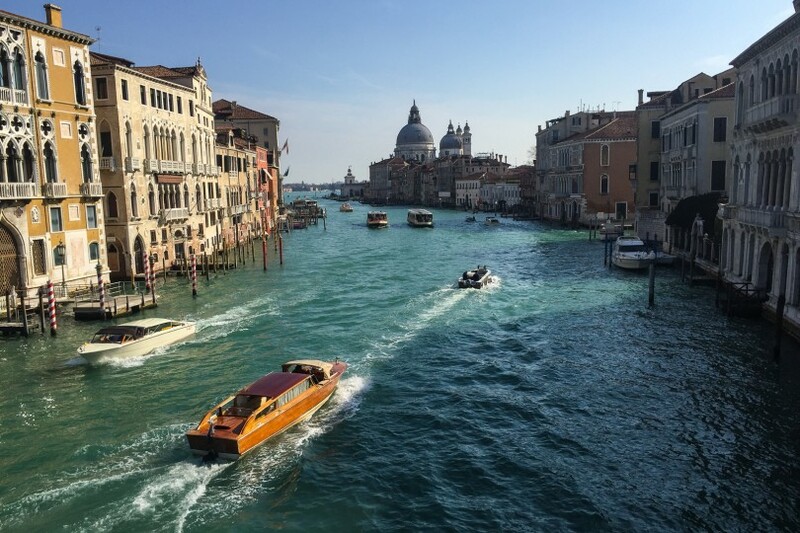 1 ferry for the 3.5 km stretch of the Grand Canal, passing mansions and churches along the way. It’s pretty amazing. 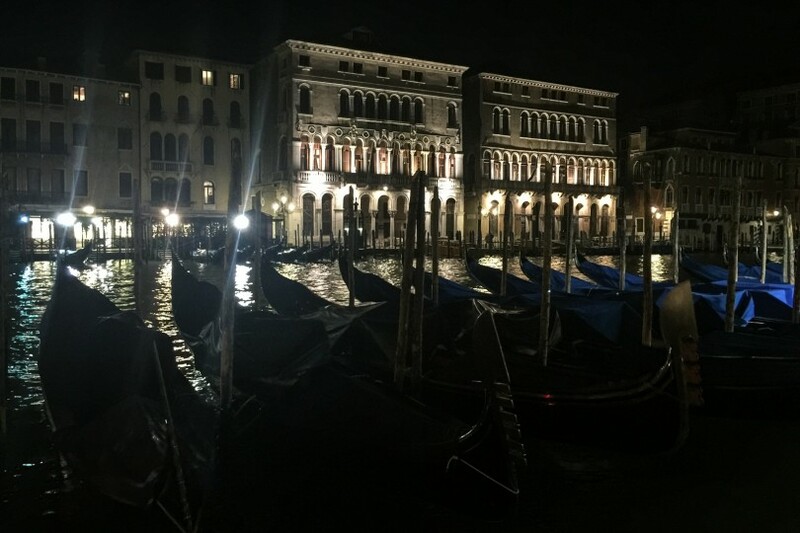 There’s a reason why Venice is sometimes referred to as the City of Light. The city is beautifully lit at night, especially along the Grand Canal. 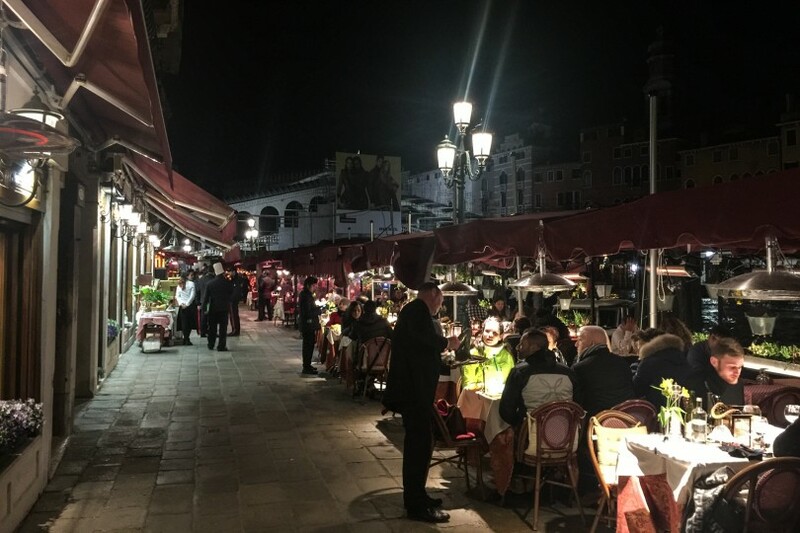 In the Rialto area, the Grand Canal is lined with restaurants offering outdoor seating under heated lamps. It’s a perfect place to have dinner with a magical romantic ambience, but you may pay touristy dinner prices. 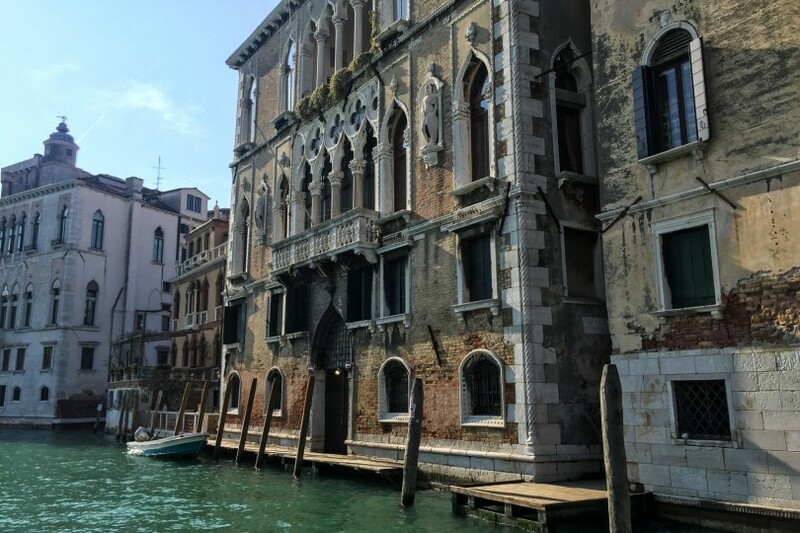 This is a must do on many “Things to See in Venice” lists, and so we went. It’s 8 euros each to get in, and as the Lonely Planet guide book describes, it’s an “ocular onslaught”. 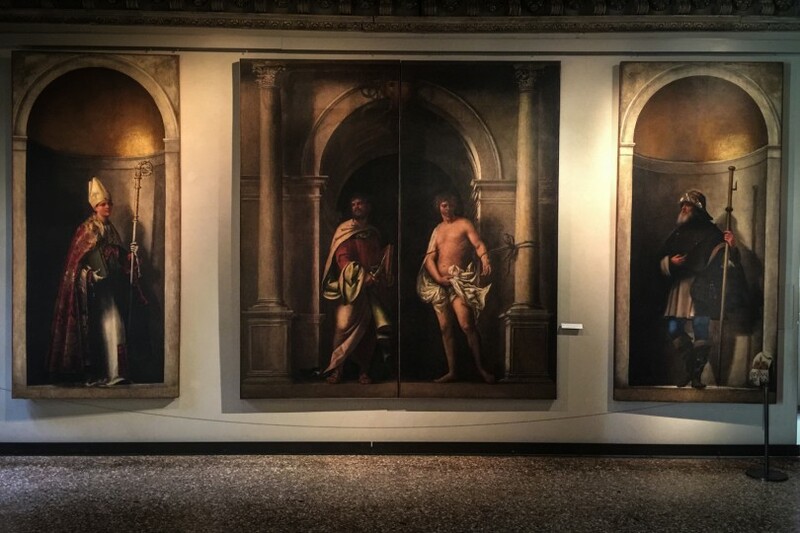 The art spans from the 14th to the 18th century, ranging from small paintings to wall sized canvases. I was more impressed with this church than St. Mark’s Basillica, not in the context of historical significance, but because of its sheer grandeur and view. 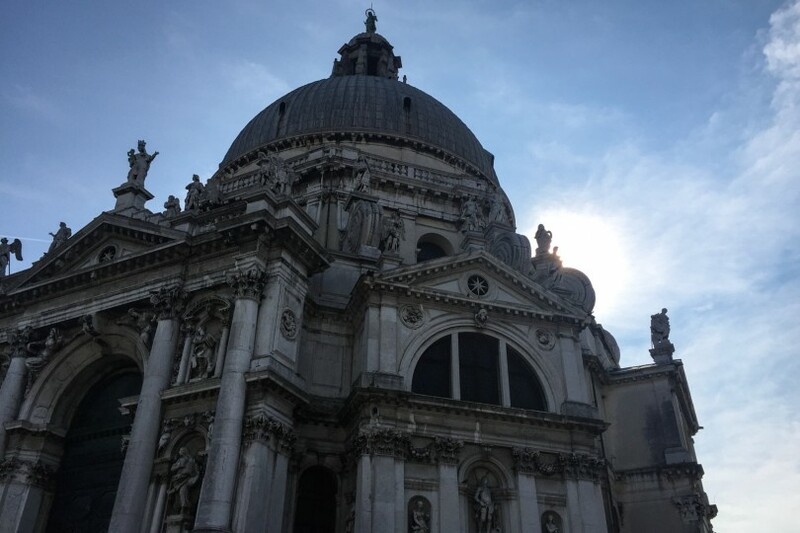 From the promenade by Piazza San Marco, the domed church across the Grand Canal is visually stunning. Mass was taking place when we entered, and the acoustics were quite awesome. We had a 20 euro waterbus day pass, and took the No. 1 to the Salute station. It’s difficult not to admire the view upon approach. A few people suggested we go to the island of Murano. We almost opted not to due to fatigue and jetlag, but decided to take the 4.1 ferry to the island to meander the streets and admire the work of glass artisans. 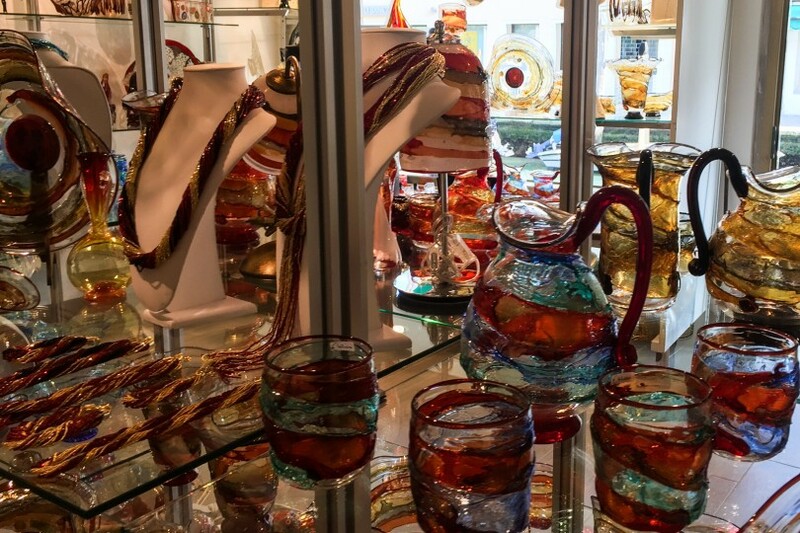 Apparently Murano glass is quite famous around the world. The many items for sale are absolutely gorgeous and encompass the entire colour spectrum. 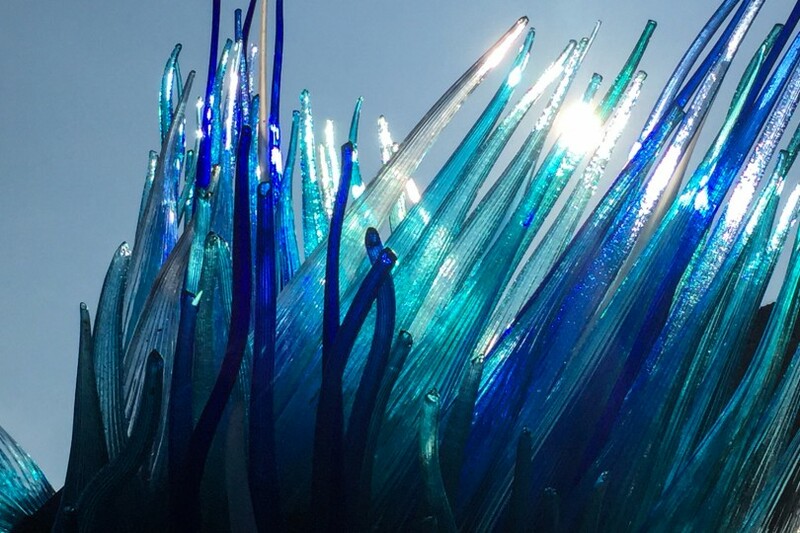 There is definitely something for anyone looking for beautiful glass art. It can be a bit pricey though. 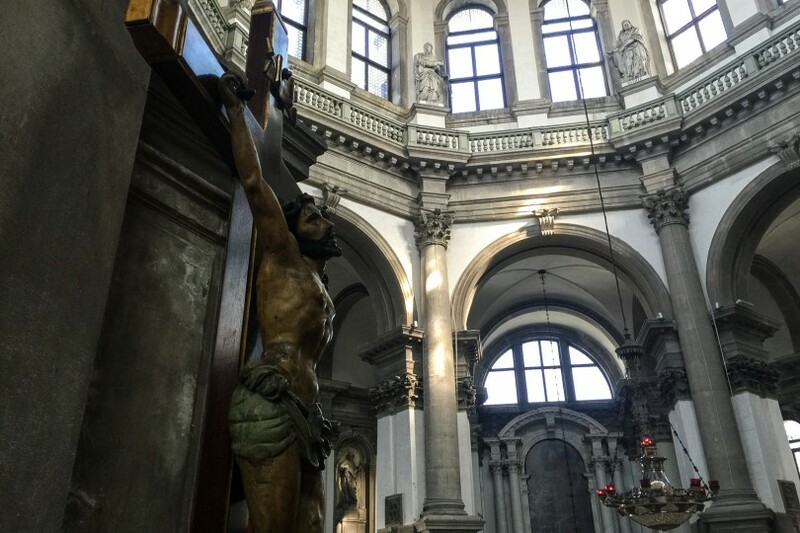 I didn’t call this post “Top 12 things” because with only 2 days to wander Venice, we definitely missed something. So, did we miss out on a “must do”? Awesome post and one I will have to remember when I make it out there. Glad to hear you guys are having a great time! 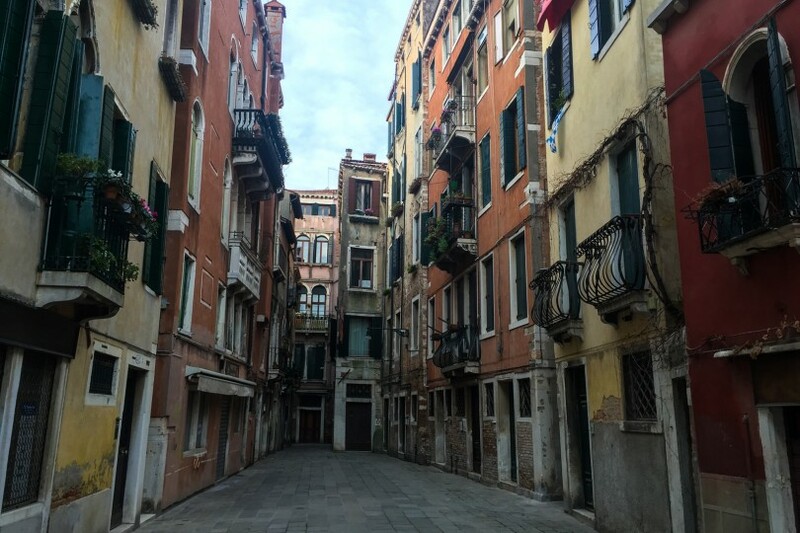 I enjoyed wandering around and finding nooks in the various parts of Venice. I definitely agree that the number one thing to do is to just wander, get lost and enjoy it! Number 2 if in Italy for the first time is find good food, rinse and repeat until no longer able to. Great post!